Harvard University Professor Lawrence Lessig is walking across New Hampshire in memory of Aaron Swartz, the computer coder and Internet freedom activist who committed suicide one year ago Saturday while facing prosecution on federal hacking charges. Lessig's walk begins Saturday. He is trying to build a coalition called New Hampshire Rebellion to fight the corrupting influence of money in politics ahead of the crucial 2016 presidential primary in the state. "The only way we're ever going to get fundamental reform is if we can inspire presidential candidates to make this a central -- maybe the central issue -- that they want to talk about," Lessig told HuffPost. 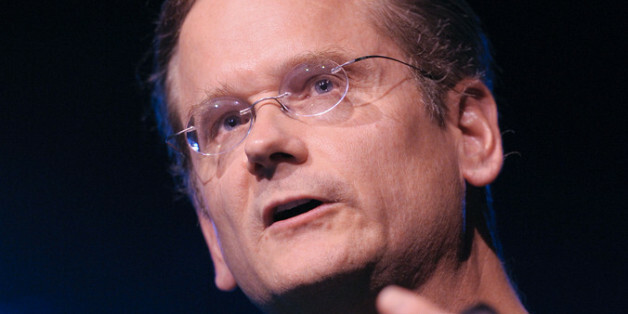 Lessig is an Internet legend for his work founding Creative Commons, a nonprofit organization that promotes alternatives to traditional copyrights. Swartz contributed code to that project before turning his attention to other initiatives, including co-founding Reddit and fighting restrictive intellectual property laws in Congress. "He said to me, 'Why are you wasting your time working on these Internet issues or these copyright issues, when you know that none of the ideas you're pushing would ever be addressed because of the political system?'" Lessig recalled. Lessig is asking supporters to join him as he walks across New Hampshire in segments -- 10 miles on Saturday, 20 miles on Sunday, more down the road -- to reach out to voters. His walk also will honor the work of Doris Haddock, more commonly known as Granny D, the New Hampshire political activist who advocated campaign finance reform until her death in 2010 at age 100. "What we want, concretely, is to build a movement in New Hampshire that takes as its task asking one question at every single event that a presidential candidate has between now and the 2016 primary," Lessig said. "And the one question that every single presidential candidate should be asked is … 'What are you going to do to end the system of corruption in Washington?'"